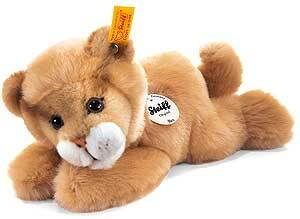 BEA Lioness 280214 from the Steiff Little Friends Collection. Made of the finest blond cudly soft woven fur, machine washable, size 22cm (approx. 9 inches).